After graduating from the University of Tennessee College of Law in 1997, Tim completed a one-year judicial clerkship with the Hamilton County, Tennessee, Chancery Court for the 11th Judicial District of Tennessee. 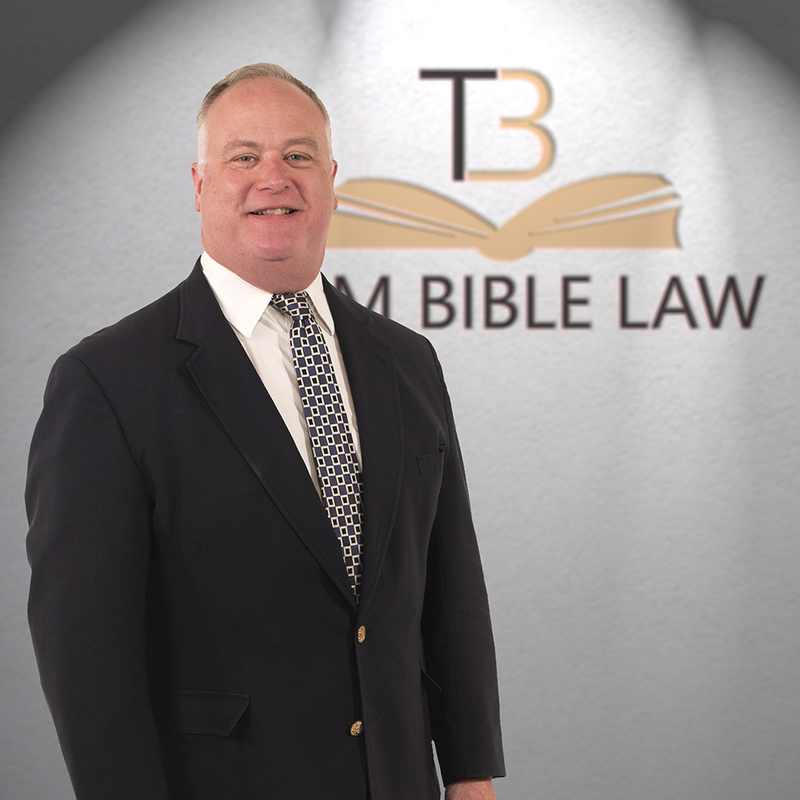 He then practiced with the law firms Lawrence, Lawrence & Gerbitz, PLLC., and then Spears, Moore, Rebman & Williams, P.C., until he transferred to the Law Office of W. Thomas Bible, Jr.
Tim has over 18 years of experience in a variety of legal areas at the trial and appellate levels, in state, bankruptcy, and federal courts, including civil litigation, medical malpractice, personal injury, general tort liability, construction litigation, commercial litigation, real estate litigation and transactions, estate administration and probate litigation. His present practice areas include consumer/debtor’s rights, personal injury, and social security disability. Prior to attending law school, Tim graduated with a Master’s in Public Administration from the University of Tennessee, Knoxville, and worked as a budget analyst with the National Archives and Records Administration in Washington, D.C., which provided him with a strong financial and analytical background. An Eagle Scout (Order of the Arrow), Tim enjoys camping and hiking with his wife, Elizabeth, and their twin sons. Tim is a Vestry Member and Lay Reader at Church of the Good Shepherd, Lookout Mountain, Tennessee, and serves on the McCallie Parent Leadership Council, Honor Fund (McCallie Mania) Council, and Concessions Committee. He is an Alumnus of Leadership Chattanooga.